Nine years ago when I had my son D2, I had no concept of paid family leave. While I knew I would take three months off, I just assumed I’d make my regular pay check. I was fortunate that my employer at the time provided short-term disability which allowed me to recover 60% of my salary. I had also banked more than 10 weeks of accrued vacation (why I hadn’t used all of my vacation is for another post.) which allowed me to bridge the gap between what short-term disability didn’t cover. But after twelve weeks, I had to return to work. I’ll never forget when one of the European board members of my company expressed surprise that I was “back so soon” after having a baby. You see in much of western world, new parents have far more support following the birth of a new baby than we do in the U.S.
Sweden tops the list with 69 weeks of paid leave for new parents. And not far behind are Germany, Norway and Denmark who provide 60, 57 and 52 weeks of family leave respectively. How bad is family leave policy in the U.S.? Yep, the U.S. barely leads Hong Kong and the United Arab Emirates. Here in the U.S. if you work for an employer with less than 50 employees, you may get little to no paid family leave. If you work for an employer with more than 50 employees, you are entitled to 12 weeks of unpaid family leave under the Family Medical Leave Act. I remember a close friend of mine who worked as a correction officer, had her daughter around the same time I had D2. She fretted about getting her baby to take a bottle because she would only have six weeks off before needing to return to work. This is insane. If you’ve ever given birth, you know those first few months are like boot camp. Your breasts are swollen. Your nether regions are still recovering from the trauma of squeezing out the equivalent of a watermelon. You are are sleep deprived. And your hormones are in revolt. The benefits of extended family leave have long been proven and yet still, we don’t have consensus among our elected officials or business community. I’ve been impressed that some companies like Google are stepping up to lead the movement for increased paid family leave. Google figured out what most leaders are just starting to acknowledge that when paid family leave is more generous, the rate at which new mothers leave the company falls significantly. In Google’s case, the rate of new moms leaving their workforce dropped by a staggering 50%. As a working parent, I’m particularly sensitive to the needs of new parents on my team. New moms (and dads!) can transition back slowly to work by working from home a day or two a week when family leave ends. We also allow employees who are in good standing to telecommute one day a week if their job function is suitable for that. I’ve seen how more flexible family leave has been a boon for retaining our best and brightest while also doing the right thing for babies who need that critical bonding time with parents in those early months. What do you think? How does your company’s family leave policy stack up? How did you handle your family leave and what do you wish you could have done differently? 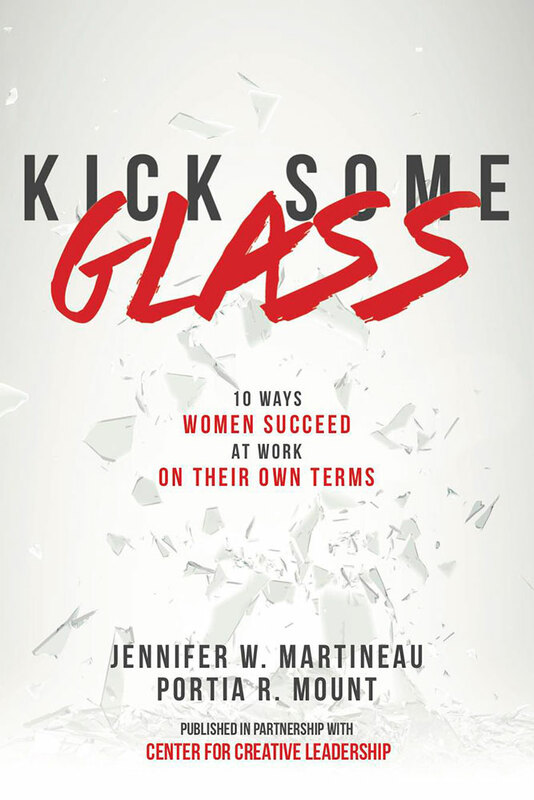 Subscribe to our newsletter for the latest work and career advice and a chance to win a signed copy of Kick Some Glass.